Imagine that Edie Sedgwick penned a roman à clef in her 50s, and that she discovered, in her ugly, diseased decrepitude, that celebrities and downtown loft spaces and skuzzy rich hangers-on were the nadir of existence. Imagine that she managed, in her own post–trauma-addled way, to convey a beautiful-ugly portrait of this life, and the life that followed that life, a life of cleaning offices and riding public buses, in a wincingly acute manner that allowed you not only to forgive the destructiveness in which her youthful self luxuriated but view it as a real human tragedy. 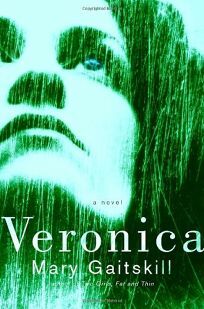 This is the accomplishment of Veronica , or rather of Alison, who is the narrator and soul-wearied subject of Mary Gaitskill's second novel. Alison, who lived an Edie-ish life, has a face that is "broken, with age and pain coming through the cracks." Now in her 50s, she cleans her friend's toilet for money, she's sick with hepatitis and her "focus sometimes slips and goes funny"—an apt description of her story's pleasing disorientation, a story which amounts to a nonchronological recounting of her "bright and scalding" past as she hikes feverishly up a hill. Alison's narration begins as a bracing account of her "gray present" from which she recalls her childhood and her years as a model in Paris and New York and the death of her friend Veronica from AIDS. A former inhabitant of a face-deep world, she cannot describe a person without first reducing his or her face to a single violent visual stroke ("his face was like lava turned into cold rock"). These descriptions—or dismissals—fail, on purpose, to render any character a visual flesh-and-blood presence; instead, Alison's way of seeing renders people distressingly naked. Heidi Julavits is the author of two novels, The Mineral Palace and The Effect of Living Backwards. She is a founding editor of the Believer.